I saw this poster in a shop window over the weekend—isn't it great? I approve of both the message and the Mucha-esque design. 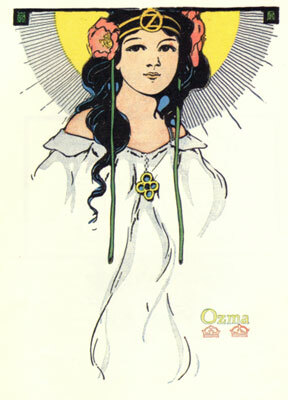 (The woman's headdress also reminds me of Ozma, which is always a good thing.) I would have bought it on the spot except that they were sold out at present. You can get it here, though. 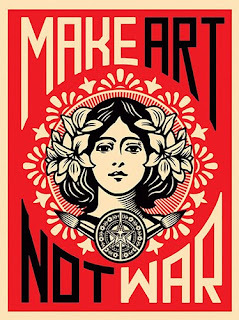 And the design is by Shepard Fairey, which makes it a bit hip for my taste, but just proves the guy's got chops.